The recent New Yorker cover by illustrator Barry Blitt depicting the Obamas in the White House has caused unending furor in political circles and the media over the past week. The Obama camp has called the cover “tasteless and offensive” and the mainstream media has agreed and roundly denounced the cover. The cover’s main media proponents (outside of those directly involved) have been Bill Maher and Jon Stewart, nobly defending the art of satire. I confess that this cover made me uncomfortable. And I didn’t like being on that side of the issue. So I had to ask myself: why? But if the media argument is correct, then Lenny Bruce could have never mocked racial epithets and social mores, nor could George Carlin. George Lois’s spectacular Esquire covers would never have happened. So what's the difference? The problem with the Obama joke is not that it’s dangerous and tasteless. The problem is that it isn’t dangerous or tasteless enough. There’s nothing wrong with a joke, it’s how its executed. It’s just not that shocking, and it isn’t funny. It’s simply bad art direction. The cover is an illustration when it should have been a photograph. It’s a cartoonish illustration at that, not even a realistic painting. It's not what you said, it’s how you said it. To be effective, this kind of political outrageousness has to appear to be absolutely real. You have to look at it and think, “Oh my God, I can’t believe it! Did they actually do that?” It has to be so tasteless that it becomes good. Lois achieved that with his cover for Esquire of Lieutenant Calley, then accused of leading the Mai Lai massacre in Vietnam Mai Lai massacre, posing with a bunch of smiling Vietnamese children—an actual real photograph. In this portrait, Calley was a villain or an innocent, depending on your point of view. When it appeared on the newsstands, the cover was so shocking, so appalling, so unbelievable in its mere existence, you didn’t stop to think about whether or not it was offensive or tasteless. Other Lois covers such as his cover of Muhammad Ali or President Nixon work similarly. Barry Blitt’s illustration is a caricature of a stereotype, not an overt stereotype. The illustration creates a distance between the viewer and the viciousness of the content. In fact, the illustration form itself, coupled with this particular content, makes the whole thing appear whimsically tasteless instead of appallingly shocking. The New Yorker is an illustration magazine and really has to be careful when approaching this form of outrageous satire. The New Yorker is at its best with idea-oriented silliness like the spectacular Maira Kalman-Rick Meyerowitz New Yorkistan cover, or the obvious political cartoon—also by Barry Blitt—of Obama reaching over Hillary in bed to answer the phone at 3am. Realism wasn’t necessary in either cover to make the joke effective. The Art Spiegelman cover of the Hassidic Jewish man kissing a black woman during the Crown Heights affair, on the other hand, had the same problem as the current Blitt cover. It would have been much more effective as a photograph. As an illustration, it was neither especially provocative nor funny. Jon Stewart has done the Obama-as-a-terrorist joke on his show several times. He always uses photography. He uses it because for the image to be funny, it has to look real. Making visual humor work is really a function of editorial art direction. Barry Blitt had a good idea, but he was the wrong guy for the job. I've been following Obama's career pretty closely and excitedly since I read The Audacity of Hope, and I did not find this cover to be offensive in any way. Could it have been more sharp and effective as a photograph? Definitely. But I don't understand how this cover could possibly be misinterpreted as anything other than a somewhat funny riff on the absurdity of running for office as a relatively unknown young black guy named Barack Obama, who people attack for not being patriotic enough, despite his best efforts to prove them wrong. Plus, it's a cover of The New Yorker, not Guns & Ammo. If the cover was a photograph I think our culture would be far more inclined to believe it than they would an illustration. Even with the knowledge of Photoshop being what it is among so many, there's still a basic assumption that a photo real - because, like you say, it looks real. Any illustration is tautologically false - it is a evidently a representation, not actuality, and impossibly untrue. I don't think you can use the argument that, if people see the cover on the newstand without its satirical context, they're likely to believe the stereotype to be real at the same time you argue for using a photograph that looks real. If they're missing the satirical context, wouldn't they be more likely to take a photo at face-value as truth? But if the idea is that photo's realism is a mechanism for producing shock, then that line of thought eventually takes us to the issue of crossing into shock territory, and that excellent dinner party question, what's really shocking to American eyes these days? Just keep the wine coming, I say. On a personal level, I think it may be cultural subversion just masked as bad art direction. It may be someone's convoluted plan that goes a long way to inform the public about Obama. All this media, all these blogs, and even the candidates themselves are talking about how very untrue this image is, and saying how wrong it is to depict the Obamas in such a way. Is there any media that's holding up this cover and saying "See, we told you! Now we have proof!"? It's mostly the media criticising the media for what it puts out, which is beautifully, mind-bendingly reflexive to me. I think the New Yorker is making a sacrifice fly with their reputation to get a runner in position. Or I may just be reading into it too much. Saying that this illustration is distasteful is completely different then saying the joke just didnt work. If you found this distasteful you would presumably agree that a well executed photograph wit the same objective was distasteful. Personally, the joke has been beaten to a pulp. The only way it can be effective is making the comic even more farfetched then the plethora of Obama and terrorism relation jokes. Take it for what it is. Its like the kid who repeats the joke you just told you friends. Yeah I get it, its funny, lets see how many times we can tell the joke a different way with the same punch line. It wont taste any different then the last ten times you tasted it. Only the preparation could change. Paula, Agreed. I've had the same nagging thought tugging at me since this erupted. It's not that the Obamas or the new hope or the left or the right can't be satirized, it's that in its attempt to satirize, this piece didn't go far enough over the top. The irony, of course, is that the right had already gone there and so what had been the top was pushed upward. Rove and company moved the stinky cheese. If this was done in the UK it would be so over the top you'd immediately know it was a piss take of conservative thinking. The sensitivity of line and colour works against the joke. You really need a mallet to crack this egg. They should have portrayed Obama as "the hood" from Thunderbirds in Team America style – taking off his mask now he's in the oval office. That would have been hysterical. I personally loved the Daily Show's take on this issue- Why is the media so upset over this cover when they are essentially spreading the same ideas about Obama (questioning his patriotism, IS AMERICA READY FOR A BLACK PRESIDENT OHNOES, etc. ), while doing nothing of the sort with McCain. Very hypocritical. Agreeing that it would have worked a lot better as a photograph (albeit with lots of snazzy Photoshop work). The humor would be much more effective- looking realistic, but so over the top that it can't possibly be true. With an illustration, it could be either true or false- there's too much grey area for it to work affectively. The sensitivity of line and colour works against the joke. You really need a mallet to crack this egg. On the contrary—I think the subtlety makes it appear more tongue-in-cheek; I would've assumed the target audience would've caught on to this rather easily. I will disclaim that, as a political cynic and pragmatist, I am not on the ever-growing Obamania bandwagon. But I love this cover specifically because of the softened expression on Barack's face, as he turns to the reader and says with exasperation, "You've got to be &%£§$‡@?!! kidding me." The first question I ask myself when designing: Who is the audience? The New Yorker content is not for the mass appeal of blue collar Joe in the Ohio Valley. Most likely Joe wouldn't think that the illustration was even good. They appeal to their regularly scheduled readers: educated, society democrats. I think they hit that on the head. My REAL problem with the illustration: It had nothing to do with the article it was attached with. I thought it was going to combat the stereotypes. It didn't do any of that. In fact the article was about how good of a cunning politician Obama is... nothing to do with stereotypes. If this wasn't a cover for a journalistic magazine would we even care? Paula: You mentioned the cover making you "uncomfortable"... thats your own thought police. You and I know those stereotypes are wrong and we do not want to be associated with them. I think its a slippery slope to start thought policing every single satirical cover that comes across that might offend someone. Blitt didn't tip-toe, he just put it out there pretty plain as day and made us all confront it. In the end maybe Blitt did his job correctly. He made it fanciful enough to be taken as satire to some - but real enough to not be and cause this uproar. I feel Paula Scher is half right about Blitt's cover... which means I feel she's half wrong. I agree that Blitt was the wrong illustrator for the cover. His image is "pretty" and fanciful in the Eustace Tilly mold. Having long listened to all the ignorant slurs directed at the Obamas, I'd already conjured up a very similar picture in my mind. To actually see it printed was pretty much a redundancy. This is not to say that Blitt's cover is completely without merit. In itself, it's neither good nor bad; it's just average. If I'd commissioned art to accompany a magazine feature spread dealing with those vile smears, I'd expect to receive something along the lines of what he did. But I generally expect a higher standard from a New Yorker cover. The most effective New Yorker covers that deal with serious issues – including Spiegelman’s Hassidic Jew and black woman kissing – derive their humor from their use of visual metaphor. This one depends on irony. I disagree with Scher's contention that a photo would have been more effective, because the intent would still be ironic. Personally, I prefer metaphor to irony; it tends to be more challenging, and make viewers work harder. However, if that same image had been rendered by a different artist, in a crude, grungy style – like wall graffiti scrawled by a hate monger – I'd have given it much more credit for pushing the concept to another level of visual commentary. Oh, I also agree that it's a shame that the days of gutsy, Lois/Esquire-style covers are long gone. And by the way, Esquire's Calley cover is a great example of how irony can be incredibly challenging and effective... but only because it was "an actual real photograph." I gotta say just from the voices I like the visual how Michelle is illusioned. Blindfolded I could pick her out as a southsider from Chicago after she opened up the first time. Pretty true to her colors. The last few month she's had more extensive training. And those eyebrows. The forearm. Great anatomy. Oh, I did like the mention of Carlin in the article, Paula. We all know Carlin hasn't voted since '72, giving it up for a long lasting bout of Lent at age 35. He criticized elections as an illusion of choice. I have no problem with the cover and I'm pro Obama. I do think it was silly to blow it up out of proportion. The thing people have to remember is that if Obama's election is depedant on something like this, he's probably not strong enough to win. The New Yorker is an elite publication and this has given it more coverage. It's also a pretty funny cover. If the send-up was *anything* about Bush and Cheney, would anyone care? Which means all the noise is just more PC claptrap. Bad art direction? Come one... it's vintage New Yorker stuff. We wouldn't recognize this as the New Yorker if a photograph were used! It's the NYer and Blitt’s style fits their tradition (or 'Brand' for you Donny Deutsch fans) of illustration – and particular style of illustration. A photo would be like commissioning an illustration for a Vanity Fair cover. Speaking of the Big Idea, George Lois is to Esquire what Steinberg was to NYer. And Vanity Fair? 3 workouts a day and he’s the father of two young kids? Vanity. I used to work near the East Bank Club in Chicago where the ‘higher ups’ would spot Kevin Bacon getting fit – proving there are even fewer than Six Degrees of Separation. I think this would have worked better on the cover of SPY magazine. Oh, wait, SPY is gone because IRONY IS DEAD. Switching tracks for a moment, supposed we draw a cover depicting some other patently offensive stereotype, and publish it claiming that the purpose is to draw attention to the ridiculousness of the stereotype. I have an example of what I mean, but I'm afraid to show it, for I'm sure I'd be villainized for even producing such an image. Has this scheme *ever* worked? I don't see any net gain here. Mocking the mocker by restating their mocking words to show the silliness of their mocking is not irony. This is like calling a fat kid fat to show the fat kid mockers who have been calling him fat. People who link Obama to Osama doesn't really think that Obama is really related to terrorists, they are not that stupid. They just want the uneducated and the people who vote for them, who obviously in their opinion, very simple-minded, to think so. And so they barrage them with images and words that suggest so. This is just another image that helps in their propaganda. Sorry, Paula, the illustration is perfect, particularly in the New Yorker. Photography is not their style and to my eye a photograph would simply reinforce the stereotype, not to mention how the "real" looking image would be used by right wing zealots passing it around the internet through e-mail. Being a bit more centerist myself I have witnessed innumerable editorial cartoons belittling principal I hold dear and have become calloused to such offerings. I've even come to enjoy the humor, if not absurdity. Your problem is they have sacrificed one of your sacred cows and you are hurt. Your is a natural reaction and one those of other political persuasions suffer regularly. "Me thinks ye doth protest too much". The current protest has shed more light on the cover than it deserves. My suggestion, chuckle at the absurdity and get over it, move on. As I stated in my piece, THE NEW YORKER is an illustration magazine. I don't think it should suddenly embrace photographic covers. However, certain ideas don't work well as illustration, and this is one of them. Consider if Tibor Kalman's black Queen Elizabeth or Asian Pope were rendered as illustration instead of photography. They would also have been caricatures of stereotypes and would not have been as effective or memorable. Try to visualize it, it would have entirely changed their meaning. Obama is a skilled pol who knows how to make both sides of an issue work for him. The New Yorker article that goes with the cover explained how Obama is sometimes conservative on issues when it works for him. Satirizing his recent vote for FISA, for example, while campaigning as a progressive might have been an equally effective form of satire that actually related to the article. Um, poor Barry Blitt. The last person in the world I'd want to be told I was the wrong guy for the job is Paula Scher. Paula I think you hit the nail on the head. i think for me, it's not so much about the content, but the execution of what is supposed to be satire. it's not effective given one of the reasons is that there are numerous americans out there who believe this representation as a fact. now if the guy who made this illustration created one for mccain as a potty mouthed, wheelchair bound, senile, hot tempered senior citizen with a stepford wife, then i would be a bit more at ease with the current cover. they did achieve one goal though: the cover is getting a whole lot of press. The NEW YORKER cover “The Politics of Fear,” is a McCainian nightmare—without McCain and so the irony of the satire is lost. Yet, people get it. They even get it in the boggy parts of the blogisphere. But Paula is right; the cover is not funny, because the illustration is without the crucial element of spin. A very common, almost defining feature of NEW YORKER covers that do work is the double entendre, like the idea-oriented New Yorkistan. Thank you for writing this post Paula. Aren't the cartoonists in high-profile American publications nearly always too polite? I never see anything that compares with the viciousness of the great Steve Bell (his opinion linked above by Adrian Shaughnessy) or Ralph Steadman or Gerald Scarfe as he was in the Sixties and Seventies. Surely the point was to provoke a response - job done! Thank you for the Tibor reference/memory, I loved his provocateur nature. Even if you disagreed, he made you stop and think. I was in attendance in SF when he "disturbed" the AIGA conference. I get your drift on the photo aspects of the design, but certainly the "Black Queen" is more subtle than "The Obamas in the Oval Office". When you see it a smile slowly grows on your face as you take it in and realize its implications. But the Blitt image is as not subtle, either in execution or subject mater. Now, I don't know where this idea originated (with Blitt, the Art director or editor David Remnick), but since a New Yorker cover is generally illustrative the Art Director used an illustration to execute the idea. Are you suggesting that Remnick call another publication and say, "Hey, we have a great idea, want it? We can't execute it properly 'cause we don't use photos"? No! You have an idea and you use the tools you customarily use to execute it in your own "style" - in this case illustration. If they can be accused of anything it's not making a tight enough connection between the cover and the articles content. It appears they were overly enamored by the outrage that would be created by the cover idea to bother to read the article. Perhaps the Blitt illustration was not so much a collaborative commissioned, but acquired from Blitt's portfolio of possibilities and used at the first opportunity to slap on the next Obama article, but that is pure speculation. I still think the photo thing and bad art direction is a diversion that blurs your outrage from the real hurt that some might feel this is an all too appropriate depiction - or that many will think that. In politics its all fun and games till some one gores my cow. I gently reiterate, get over it, were in for a bumpy ride to the Whitehouse. The illustrators come up with their own ideas and present them to the New Yorker. The New Yorker really doesn't commission covers like Esquire or Time. The covers are generally timely-ish, but don't have to illustrate a specific article. They are all illustration. And all of this accounts for the New Yorker's charm. This cover is Barry Blitt's idea and David Remnick, the New Yorker editor liked it. It didn't have to conform to the story about Obama on the inside. In fact, it could have actually ran another week. I don't think the New Yorker should change the way it operates. My point is that some satire only really works as photography. I actually think this whole thing has wound up being good for Obama, and don't feel at all like you suggest here. You might want to read the piece from the Sunday New York Times Week in Review section yesterday that had a totally different take on why the satire didn't work. Someone who makes an inflammatory illustration succh as this knew exactly what they were doing. It doesn't matter if it was a photograph or an ink stain, it had an idea and it cut into people, it made you all react, either for aesthetic design purposes or from your political hearts. The thing about this cover is that it comes from the New Yorker, a high society publication that always exhumes the sought after answers and intelligence about current events that other magazines strive for. Te fact that this illustrations looks like a mere sketch, a funny doodle on the margins of a journal, is just a hard boiled satire on how easily it is to be racist and ignorant in our country. It is giving rise to the thoughts and arguments that we seem to be nudging around, but hesitant to admit. This is not a question of form, it is a question of context. John Stewart, who was mentioned above, balked at the overblown reaction to the cover by saying "it's a ! *%#ing CARTOON!" Stewart's TV SHOW uses phot-satire, because it mocks TV news by mimicking it's look. Context is important. The New Yorker cover isn't mimicking anything- it's a ! *%#ing CARTOON! It's intent was never to have a message as complex as Lieutenant Calley Esquire cover. It was meant to be funny, whether you laughed or not. It's pointing out what ignorant Americans are afraid of. It's poking fun of the ignorance of our fears. I think it's a necessary and bold move and as usual pretty perfect for The New Yorker. Jokes, satire, humor aside... It's not the illustrator nor The New Yorker who created this image. It's a collection of right wing, and most likely, politically and socially ignorant Americans, who brought about this slanderous idea based on Obama's beliefs and race. Of course it's offensive. And absolutely ridiculous. That's what The New Yorker is trying to say. But people actually believe Obama could be a terrorist because he's Islamic and his wife is an accomplice. Shouldn't we be talking about how fear-mongering has created rampant prejudice towards eastern cultures? Oh, and don't forget the overuse and misuse of the word "terrorist". Well, I'm pro-Obama and I'm pro-freedom of speech, but there's no shame in saying "Yeah, this totally bummed me out when I saw it." I think some folks, perhaps like myself, tend to feel obligated to "be cool" about even flamingly offensive stuff because we value freedom of expression so dearly. But intellectually condoning an act doesn't mean we can't also say quite honestly "This hurt, this angered me." I think it shows a great deal of integrity and bravery to digest your gut reactions while still uniformly upholding your belief in free speech. Frankly, this cover pissed me right off, but in that same breath I'm not saying they shouldn't be allowed or should be reprimanded for it. That's a whole other kettle of fish other commentors here have posted quite successfully on. I recently had to leave by comfortable San Francisco life for 6 months to care for a relative who was being treated in MD Anderson Cancer Center in Houston. Living in Houston was an eye opening experience that has forever changed how I view things, and especially influence my opinion of this cover. First, people really believe this crap. I mean REALLY. REALLY. It is not an abstraction and they are not just a few hillbillies with no teeth. And it's not funny. It's scary. Really terrifying. And obviously the folks at the New Yorker have never experienced it first hand -- or they wouldn't have found it funny. Second, and more importantly, we've had a president for almost 8 years that has done things in office that -- had they been illustrated during the 2000 election -- we would have considered satire. We would have laughed. But the office of the president has been so skewed, so trampled on, and treated with such disrespect -- that we are weary. We are afraid. The oval office is a room for which we have collectively lost our sense of humor -- especially with respect to the shocking behaviors of those who frequent it. So the New Yorker has every right to print whatever they want -- but they should have known it wasn't going to be funny to many of us. But they simply didn't. And for that I would label them out of touch. Everyone appreciates humour and satire and exaggeration until it touches their own cherished ideals or figures. That Paula Scher was uncomfortable with the image shows that even we the propagandists still have feelings and ideals. Barry Blitt’s illustration was a great idea and was superbly executed. I don’t think the illustration was intended to be a dangerous, or shocking political statement. Instead the watercolor drawing mocks the played-out Obama/Osama jokes. Your observation of the Illustration being a caricature of a stereotype is right on, though the critique overlooks the strength and humor of the artwork. The irreverent illustration is funny because the outrageous scene takes the joke into uncomfortable territory, evident by the public response (which includes your essay on this website). The dumb joke was deflated. Where else can it go except excessively inappropriate? Blitt hit a perfect balance between silliness and tastelessness. Good caricatures and illustrations are funny and memorable because the pictures are straightforward, and iconic --- consider Honoré Daumier’s lithographs of the gluttonous King Louis-Philippe (which I believe he was sentenced to prison for). If Blitt’s idea had been composed with photography or another more “realistic” medium the impact might have been more shocking but would have bypassed poking holes in the stale Obama as terrorist jokes. Would like to see alot more of this type of interesting, imagery. This helps question the motives that could be a possibility in any arena. Opening and shedding light on the closed minds of human beings. Personally can't stand the cult of political correctness. I look forward to the right to debate and argue my point as well as the right not to listen to your line of crap. Well it comes down to his voting record, and most of his votes are marked as present. Not no or yes, just present. Not the kind of Leader I want in the white house. Jesus loves you and allah wants you dead. i think it has struck a nerve with the american people and media as it has uncovered what people truly think of him, that they think he has a secret agenda and cannot be trusted, yet they voted for a backwoods cocaine sniffing president in the last election who probably needs him mom to tie his shoe laces to this day, i think the illustration is commenting on the america's state of mind at the moment by a canadian. I fully support the New Yorker's right to run the cover; free speech is free speech. But I wonder, could David Remnick have taken a backhanded swipe at Obama, because Remnick supports Lieberman who supports McCain who supports attacking Iran while Obama supports engaging Iran in dialogue. Nah. Couldn't be that simple. However, when I saw that cover, I felt a punch in my midsection. There is something wrong here. Did Malcolm Gladwell not teach us in Blink that these gut reactions are actually the cumulative responses of our informed and educated conscious and unconscious thoughts. And if we feel that way, we should pay attention and know that just because we haven't put our finger on exactly what is wrong—doesn't mean that something isn't. Like "astringer", when you know people who believe these things, it makes it impossible to be amused. I find many New Yorker covers have two parts: the image and the title. Sometimes I don't get the cover until I read the title which then completes the joke. As for the current issue, I read about it in the paper and in the blogosphere long before it finally arrived at my house. Since no comment on the cover mentioned the title I was dying to see what it was. "The Politics of Fear." Indeed. Paula isn't saying that The New Yorker should have used a photograph instead of an illustration. She is saying that the concept as an illustration just doesn't work. That's the reason The New Yorker couldn't have executed it properly. Perhaps Paula suggested a photographic approach simply as a means of "illustrating" the limits of cartoon to achieve the desired effect. By explaining what ingredients a photograph has that makes it successful, Paula is showing what is missing in The New Yorker's illustration. Furthermore, let us not forget that The New Yorker was attempting to attack a stereotype that elicits fear in some minds about the true intentions of the Obama's. That circumstance makes this concept a unique on the stage of satire. In the chapter on "Fear" in Heller and Fili's Style Pedia, they write: "...the process of demonic manufacture, wherein the object of abhorrence must be thoroughly stripped of its human characteristics, is essential in securing mass hostility toward one group or another." What is so backwards about The New Yorker's illustration is that in attempting to demonstrate the ridiculousness of the existing, fear-inspiring stereotype, they do nothing to show that Barack and Michelle are human. They only dehumanize the Obama's more. A photograph, on the other hand, would have done just the opposite. Expertly Photoshopping Michelle Obama's real head on the real body of a terrorist extremist would force the viewer to both humanize Michelle Obama AND identify her as the unhuman monster. This is the contradiction that The New Yorker's illustration may have been really trying to get at. Only by sympathizing with the Obamas can we truly feel how ridiculous the stereotype is. And only then can look upon this "demonic manufacturing" with anger and regret. That isn't to say I necessarily believe a photographic depiction of the concept should have been used by some magazine. When a visual of Barack Obama in "Muslim" garb on a trip to Kenya has already been destructive to his image, who knows what else can be when taken out of context. I am a New Yorker subscriber and a fairly loyal one at that, but I've also seen plenty of video clips of people in various primary states looking at the camera and stating without irony that they couldn't vote for Barack Obama because he is a Muslim. A problem I am having with this illustration is that it didn't appear in my mailbox until after I had heard a discussion about it on NPR and a report on CNN, making it pretty much impossible to evaluate its effectiveness as a piece of satire. So I was very much prepared to see it, yet still got a big laugh out of it. I would agree with Ms. Scher (big fan here, Paula! ), Mr. Shaughnessy, and others that the concept might have been more effective if made even more outrageous and over-the-top, leaving it even harder for anyone to conclude that the Obama-as-terrorist proposition is anything but hogwash, and its proponents anything other than complete buffoons. Entertaining Paula's argument a bit further: if the concept might have been more effectively rendered as an over-the-top photograph, the New Yorker would not have been the place for that to appear, but what would the right place have been? The idea, after all, came (ostensibly) from Blitt, Remnick, and/or The New Yorker, not from Newsweek or The Daily Show. It was their contribution to the national debate at this stage of the campaign. We can't always orchestrate satire as effectively as we might like, or as the Obama campaign might like, since of course, publications like The New Yorker are theoretically free to publish what they choose, subject to what they perceive to be appropriate for their readership, journalistically acceptable, and truthful. Much of what passes for political satire on television, radio, and the internet is a whole lot less sophisticated and often not particularly funny. Maybe this cover didn't match the best of George Lois, but I'm tempted to think that it "got what the little boy shot at." Might have been far more effective if rendered more outrageously. But considering that it appeared in The New Yorker, not USA Today (or Guns & Ammo), and considering how the ensuing story has played, it seems doubtful to me that many minds have been changed, yet if anything, buffoonery and slander haven't been greatly aided by this cover. Time might tell, but more likely, we'll really never know. Ms. Scher, you articulated exactly what I haven't been able to. Thank you. The trouble with the argument as it is presented is that it misses the elephant in the room that everyone is ignoring. The biggest problem with American media/politics is the false notion of equality (I say this after moving back to Lebanon 4 years ago). Meaning, the very idea that The New Yorker is in any way able to subvert what is the dominant discourse is ludicrous at the very outset. The New Yorker is the dominant discourse. Were this (as was mentioned elsewhere but which escapes me now) a "satire" of Joe Lieberman, exploring, say, the blood libel, what would be different in the ensuing discussion? Until such a time that the New Yorker has an internal equality concerning writers/artists who are people of color, until such a time that the United States has an internal equality concerning and an equal voice given to its minority citizens, until such a time that there is a true equality and an even playing field for both sides of the discussion in terms of Islam, or the definition of "terrorist", or the notion of a black man being president, then the "argument" here is sidestepping the true problem and is pointless in the extreme. Well, I don't think it's sidestepping, I think it is inaugurating. The discourse you speak of confronting, the U.S. confronting its minorities, etc, is subverted by the discourse that merely speaks about the initiation of a discourse to solve the "real" problems at hand. Mostly this is executed by politicians, large corporations and then trickles through the mass media. Ironically, these are the very mechanisms that can generate the changes you decry. If the New Yorker is the dominant discourse and it has led you and me (and probably others) to engage in this discourse, (which could then lead to the discourse) then how is it pointless? How can a single image that generates an immediate response from the audience (which is then regurgitated back by the media) be pointless? Until we avoid the excuse that we are sidestepping we can sidestep to confront some real problems. The cover may have failed to be as blunt and "hyperreal" as it should have been. It may have been a joke we have all heard before. But we definitely haven't seen it before. The actual, tangible cover sparked a very different reaction to the "joke." Which then makes our need for the immediacy of the image even more apparent. To believe that this discussion on an elitist medium concerning an image appearing on the cover of an equally elitist (if not provincial in the extreme) New York publication is in any way an agent of change is arrogant and a willful deceit. It is this deceit that allows the discussion to ignore the single most sinister character in the illustration--the White House itself. It allows the ignorance of the fact that no matter who occupies this office they will be responsible for the destruction of any actual agent of change domestically (as disturbingly represented by Mrs. Obama, and whose husband--despite the marketing effort thereof--is but a pale imitiation, no pun intended), not to mention the outright murder of millions of Muslims (among others) around the globe, conveniently reduced here to the image of a man who was, in fact, supported by this same office and its agents. Yesterday in the local left-wing daily al-Akhbar (for which there is no comparison in the United States in terms of the media or political spectrum) there was also a caricature of Osama; the accompanying article describes America's so-called war on terror as enabling and strengthening al-Qaeda (with a pun implying the "fortressing" or "hiding" of Osama himself). Those of us living on the periphery of the Empire are at least able to tell the difference between form and substance (the elephant in this room), as seen here most recently in the hugely offensive "I Love Life" advertising campaign. We are painfully aware of the sheer vacuity of these advertising campaigns from Saatchi and Saatchi (among others) either promoting (in a tacitly racist/classist/sectarian manner) "anti-sectarianism" in Lebanon and sponsored by USAID (your tax dollars at work) along with those from the same company simultaneously "rebranding" Israel post-2006 war on Lebanon (even more of your tax dollars at work). It begs the question, given the coverage historically of the New Yorker of the maghreb/mashreq/Islamic world, how anyone can truly believe that this cover means anything else than what it is portraying: not a subversive, sending up of the fears of the Republicans, but the true fear of the dominant discourse of the West, as represented by this magazine, its readers, and its advertisers. Especially now that New York City is considering banning advertising of an Islamic organization from the subway system, the straw man of candidate Obama's supposed religious leanings in terms of Islam is revealed. Here is your freedom of speech activism to champion--any takers? I very infrequently laugh at New Yorker covers, though I do sometimes find them poignant. I found this one poignant. This would have been fine in a European country. But it's irresponsible to put out such a cartoon in a country famous for how stupid its people are. I didn't find cover to be offensive or funny. It was bland. Proving your point of it's weakness. To shock America, artists have to be daring and outright disturbing. I agree that a photographic image hold more weight than a cartoon, and in my opinion a simple picture of Obama in a middle eastern head wrap could have done the trick. The New Yorker went too far by not going far enough. 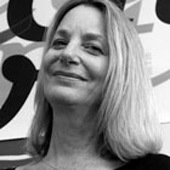 Paula Scher is a partner in the New York office of Pentagram, a recipient of the AIGA Medal, and the author of Make It Bigger. A slideshow of images from Paula Scher’s book Maps.